San Francisco Street sliders. All photos by Juliet White. Santa Fe offers a number of budget-friendly happy hour deals. These five bars will stretch your dollar a little further. Conveniently located just off the Plaza, San Francisco Street Bar & Grill is the perfect place to recover from art or museum overload. 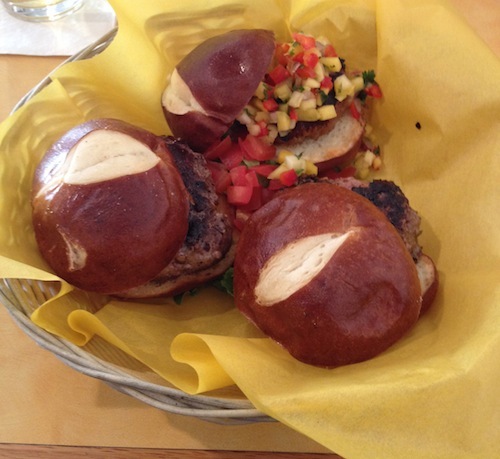 Give your feet a rest as you chomp your way through sliders balanced on fluffy pretzel buns. This is also a great way for anyone leery of Santa Fe’s infamous obsession with spicy food to sample a green chile cheeseburger. Don’t like it? No problem. There are two other sliders on your plate. Beginning of a beautiful friendship? Awesome. There are plenty of full-size GCCB options in the City Different. If this is your first GCCB, be sure to pile the accompanying shredded lettuce and tomato onto your slider, because it dials down the heat. Alternatively, try the blackened mahi mahi fish tacos, which are accompanied by a fresh salsa comprised of mango, bell pepper, red onion, and cilantro. Happy Hour: Monday through Friday from 4.30 p.m. to 6.30 p.m. Tip: To take advantage of happy hour deals you must sit in the bar area, so don’t allow yourself to be steered into the restaurant proper. For a slightly more expansive happy hour menu, check out Zia Diner. The bar area is large yet feels cozy, and the decor here is less distracting than in the main restaurant. Expect classic bar food, only fresher. 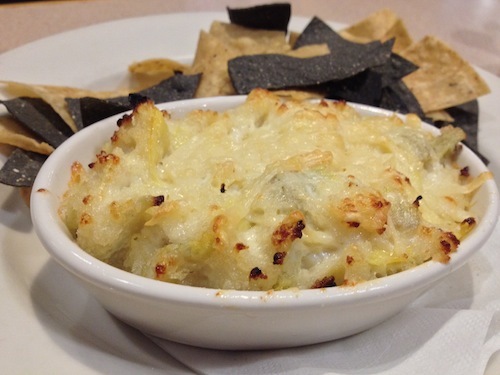 Dig into the artichoke hearts Parmesan, a baked dish that is smothered in a cheesy, creamy sauce — an addictive way to upgrade a standard artichoke dip — or stick with the classic coconut shrimp, which is served with a sweet and sour sauce amplified by a hint of chile. Drink: House wine for $5 a glass. Tip: The bar is set apart from the main restaurant. Veer left as you go in. Roll across the street from Zia Diner to Cowgirl BBQ, a vibrant restaurant and live music venue. Settle at the bar, or in a booth surrounded by Western-style kitsch, or hang out on the patio with Fido — you can order from the happy hour menu regardless of where you sit. Servings are Wild West-sized and during happy hour, appetizers are two-for-one. Bargain! Don’t miss the cabeza de ajo, a deconstructed, loaded garlic bread. Scallion-sprinkled jack cheese pools in the center of a plate encircled by lightly fried French bread, a head of roasted garlic, and tomatillo sauce. Think tomatillo sauce is too tame? Then the chicken wings, which are fall-off-the-bone tender, help you ascend the heat index in a hurry. The house wings deliver a decent kick but there are also two levels of fire above that. Drink: Order one of the frozen margaritas ($3.95) a.k.a. an adult slushie. This well-blended beverage comes in a beer mug and walks the line between sweetness and tartness without wobbling too far in either direction. Tip: Only bring dogs with good self-control. Even the most obedient collie cracks at the scent of Cowgirl’s ribs and morphs into a whirling, twirling begging machine. First things first: don’t confuse Taberna la Boca with its pricier sister restaurant La Boca, which is located on Marcy Street. Instead, duck down the alley between Ojo Optique and Allan Houser Gallery to reach the Lincoln Avenue location and score some discount tapas. Olives cost a buck and most of the other tapas are about $4-5 apiece. 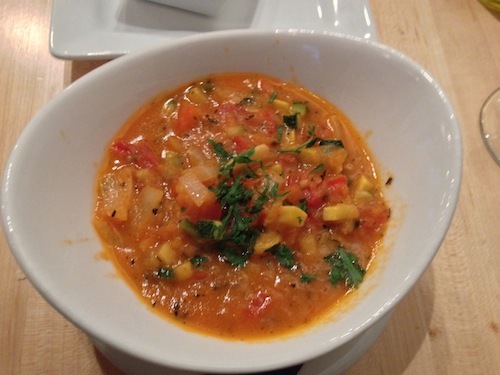 The menu changes regularly and includes dishes such as Spanish omelet punched up with a red bell pepper sauce or menestra, a healthy yet hearty traditional Spanish stew. 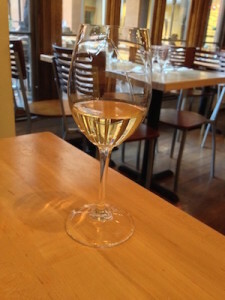 Drink: Taberna is known for its sherry. Unless you regularly partake and can appreciate the more expensive options, explore the fragrant $4 sherry, which imparts a delicate plum flavor. Tip: The staff gently tries to upsell the other menus. 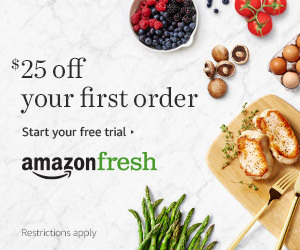 To stay on budget, order exclusively from the designated happy hour menu. 5 Star Burgers is a regional chain with a happy hour that is as enticing as it is affordable. Sliders go far beyond the typical beef burger. 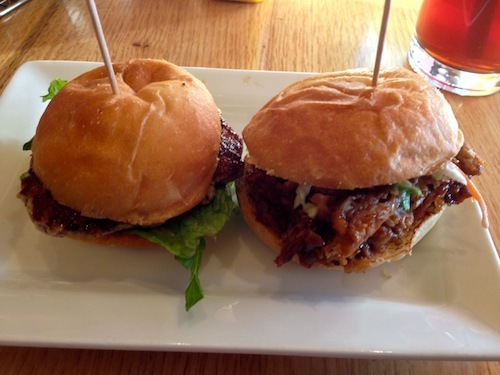 Choose from a turkey burger or a pulled pork slider sticky with molasses. The real surprise is the lobster roll, a rarity in the Southwest. And anyone craving a little Southern comfort will feel right at home with a portion of fried pickles, blanketed in a peppery, cornmeal batter. Happy hour: 4 p.m. to 6 p.m. Drink: There is an extensive menu of local beers on tap for $2.50 apiece. 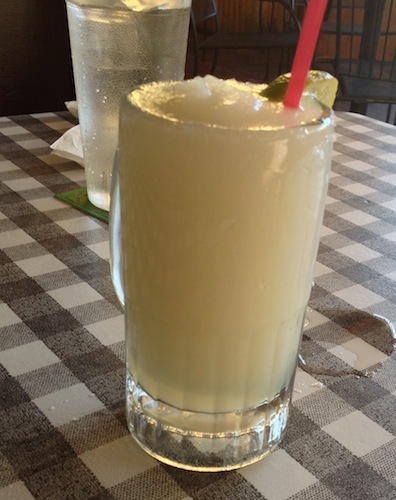 "Santa Fe’s Bargain Bars" originally published on The Menuism Dining Blog.